This year had a TON of dope flicks. Unfortunately I was not able to check ALL of them out in time. Otherwise I would of had a different top 10 for sure. However, I will mention those flicks at the end of this article. This has been quite a solid and strong year for the genre in my opinion. We saw plenty of franchises come back to life with Leatherface, Jeepers Creepers 3, Cult of Chucky, Jigsaw and others. Plus we had some amazing original films like Mother!, Brawl in Cell Block 99 and Get Out. Well as you all know, this IS a top 10 countdown article. So, without further ado I present you with my top 10 films of 2017. Keep in mind, I did NOT see every film in 2017 so some REALLY great ones DID NOT make the list in time. 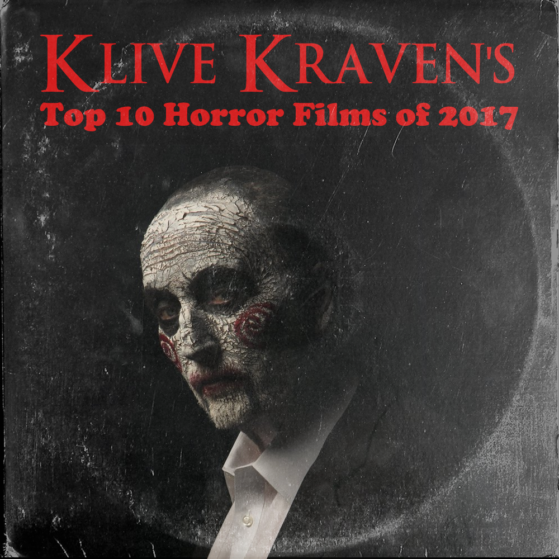 So what are your thoughts on 2017 horror films? Let us know what was YOUR favorite films of the year!